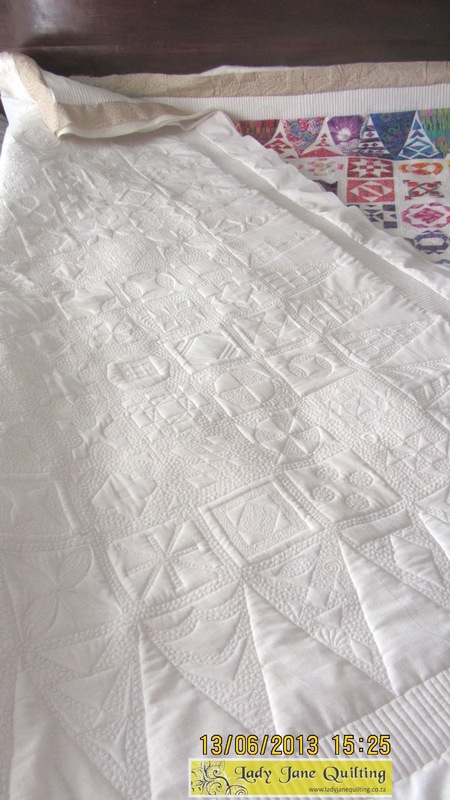 The quilting was done on the white fabric only, and ditching all around ALL of the colour pieces. Wow your Dear Jane is absolutely fantastic. I love the way you can see the design on the back. Beautiful work! Whaaaa!!!! All that pebbling is so gorgeous on this, and -oh!- it must have taken F O R E V E R. What a pretty, pretty quilting job on a Dear Jane. Thank you Ladies. Yes, lots of hours and thread! Magnificent work! I just got the Dear Jane book and just looking through the patterns I was geting nervous and biting my nails! This version is gorgeous. 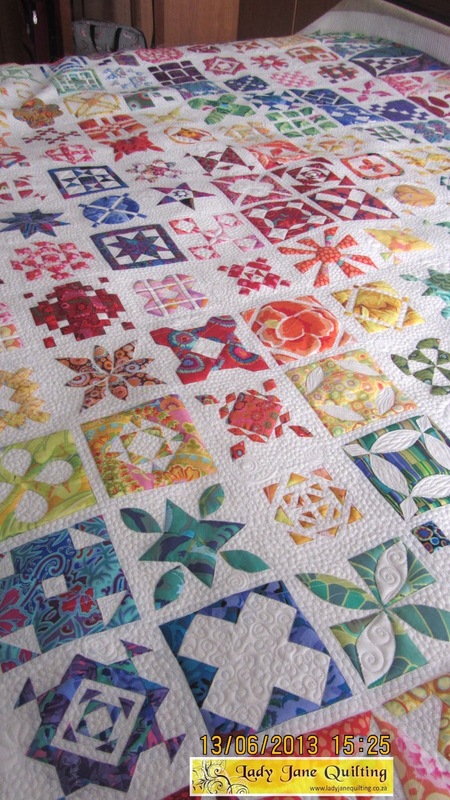 I love the bright and cheerful fabrics and I think that quilting only the background white really makes the intricate piecing and applique pop. Perfect choice. 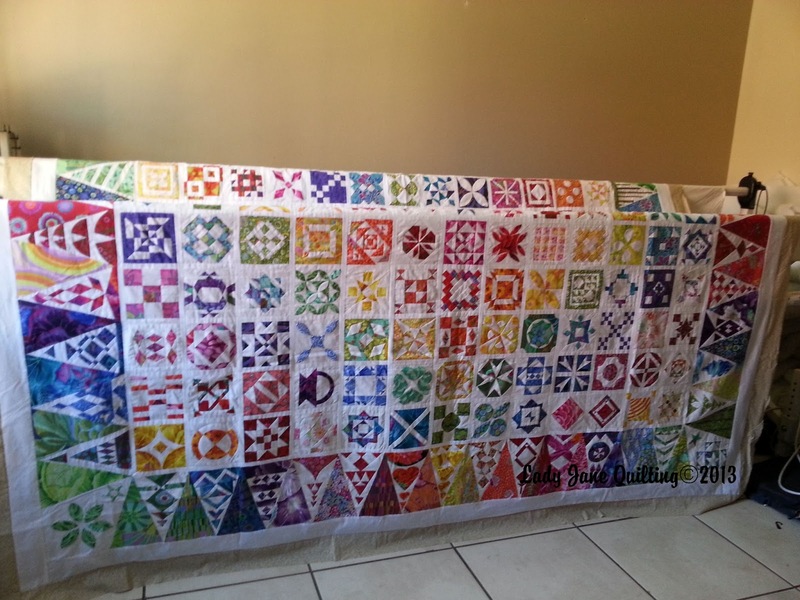 Congratulations on a spectacular finished quilt! I am in AWE! !…..I love that ….. set with white……with white in all the blocks…..WONDERFULLY GOOD! 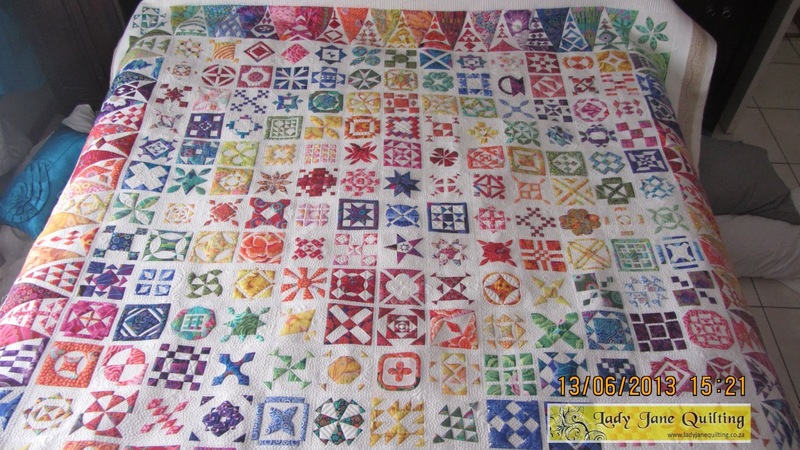 !….well, EXCELLENT!….I am working on my Farmer's Wife but I had 3 Dear Janes going at the same time; one for each kid and family……now I am inspired to return…..after I finish my FW blocks and grandson's photo Grad from HS quilt by May…..I will be back to your blog! blessings!! this is just magnificent. 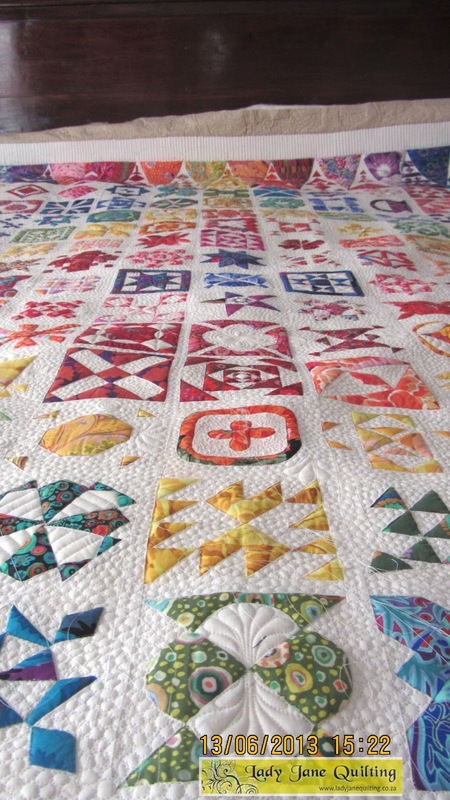 I love the way you quilted it. I will have to look this pattern up. It is now on my bucket list.